I’ve had lots of jobs over the years, from the kinda glamorous (traveling all over Asia as the Mother Abbess in The Sound of Music) to the really boring (answering phones that never rang as a receptionist at a small industrial company). I never had a job, though, that managed to be as incredibly gratifying and as shockingly thankless as the job of Mom. 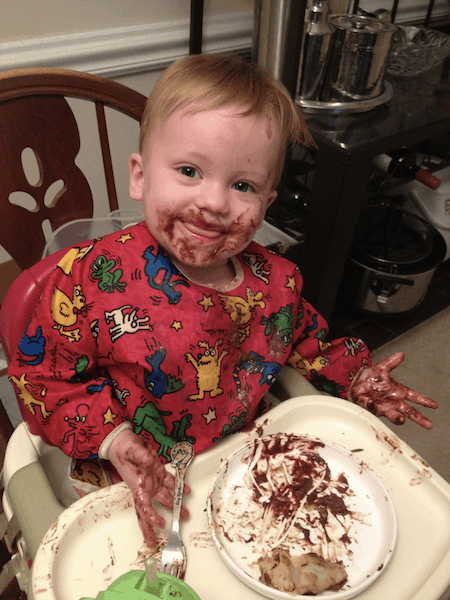 The transition to stay at home mom was a tough one for me. As a performer, I got actual applause when I did a good job. As a singing teacher, I get written thank you notes from parents and a waiting list full of eager singers that want to join my studio when my teaching helps students succeed at auditions and performing onstage. Even working in an office setting, working as a waitress, or working in a photocopy center, I got tips, raises, and compliments from my bosses when I did a good job. 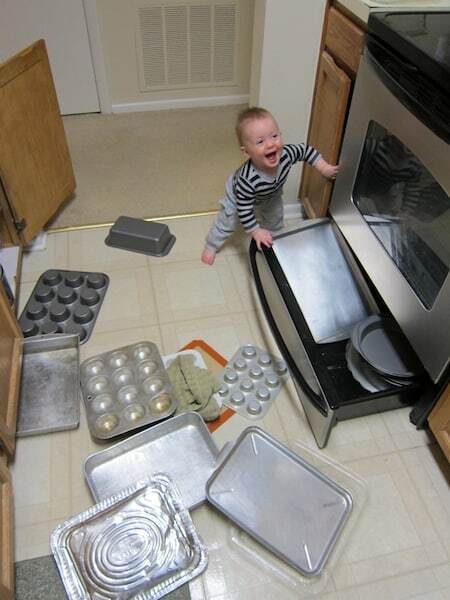 As a mom, though, I bust my hump doing the jobs nobody notices or appreciates. I sweep the floor and find new crumbs there five minutes later. I do a load of laundry and find that somehow, the kids are still without anything they want to wear. I make dinners for people who turn up their noses. The lack of appreciation for my hard work really bugged me for awhile, until made a major shift in my way of thinking. I shifted my motivation from extrinsic to intrinsic. This means that I strive to treat doing a task as its own reward rather than relying on my family, friends, or society in general to recognize that what I do is important. You see, extrinsic rewards are all those accolades I have sought my whole life: the trophies, high grades, and monetary bonuses. They are the literal and figurative pats on the back from other people that we get for doing good work. Intrinsic motivation, though, is motivation that comes from inside us. It’s that intangible feeling of joy, satisfaction, or pride we feel when we know we’re doing a great job or helping someone else. It doesn’t rely on anyone else’s opinion, and we can call on it any time to make a task more pleasurable. How, specifically, do we manage this? Well, I typically try to focus on one of three intrinsic motivation tactics for making any unpleasant task seem more enjoyable. When I’m faced with something I don’t want to do, I try to find pleasure in the task itself, find pleasure in the result of doing the task, or find pleasure in my reason for doing the task. Lots of my work these days is physical: scrubbing, wiping, tidying, etc. I do my best to actually enjoy the process, particularly of the things I do all the time. Investing in tools that are a pleasure to use helps with making this work more enjoyable. I love the scent of lavender, for instance, so many of my cleaning products are lavender scented. I also often try to practice mindfulness while doing a task—really paying attention to the feeling of the warm water of the dishpan or the stretch of my body as a reach up to dust a high shelf. Focusing on these pleasant physical sensations calms me, puts me in a cheerful frame of mind, and makes the work feel more bearable. Other times, I find pleasure in a task by doing exactly the opposite of being mindful. I use the time as a mental escape, bundling the task along with special treats that I only give myself when doing that specific thing. When I used to breast feed, I made that the only time I could play mindless games on my phone. When I fold laundry, I listen to podcasts. I’ve even got a special Spotify playlist of some of my favorite songs that I only play when cleaning the house. On some days and for some tasks, all the lavender, mindfulness, and Pixies songs in the world couldn’t make a task enjoyable. On these days, I remind myself that I might hate the process, but I like the result. For example, I live in a house with two little boys, and I get super grossed out by the fact that nearly every time I go to the bathroom, I find pee somewhere that it doesn’t belong. The process of cleaning it up is pretty yucky. I love the way the bathroom looks and smells when it’s clean, though. I feel proud when a singing student or other guest asks to use the restroom and I know it’s clean. These things make the process of cleaning the toilet relatively pleasurable even though I hate the actual task. It sounds a little hokey, but sometimes, when I’m feeling extra un-motivated to do a job, it helps me to reframe my complaint about a dreaded chore as a statement of gratitude. Just a small shift of perspective reminds me that even if I hate the process of doing the job and can’t get totally jazzed by the result of doing the job in that moment, I’m grateful for all the reasons that my life can be so delightfully messy, busy, and complicated. 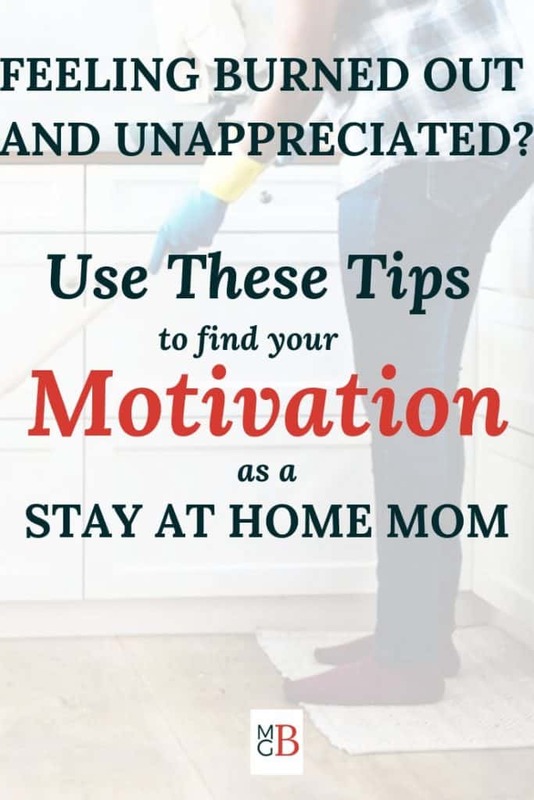 There you have it—my three tips for finding intrinsic motivation to make mom chores (or anything else you really don’t feel like doing) a bit more bearable. The best part of shifting your focus from extrinsic motivation to intrinsic motivation? You no longer rely, in any situation, on kudos from other people. A compliment, prize, or monetary bonus is a nice perk, but it’s no longer required. Your focus becomes on doing good work for its own sake and for the way it makes you feel, and not on trying to earn outside appreciation. Do you employ any of these tactics, or do you have additional tips to share? Wonderful post! As a stay at home mom myself, I totally get this. And sometimes it’s hard to think what I’m doing is really worthwhile or worthy of my education and time. But I know the home I’m making for my family can’t be measured in dollar signs. Thank you for these great ideas to make those everyday, mundane tasks just a little more bearable and gratifying ! You are most welcome! Thank you for taking the time to leave such a sweet comment! Great post! I am also a stay-at-home-mom, and have a very hard time motivating myself. I liked your suggestion about making the task enjoyable (like using the lavender scented cleaning products)! And giving yourself a treat is definitely an awesome idea! Hang in there—-motivation is tough! Thanks for taking the time to comment! This post is EVERYTHING. I really loved the part about mindfulness. This really works and makes everything I do in my home as a WAHM/SAHM worth it especially on days when I’m feeling burnt out. 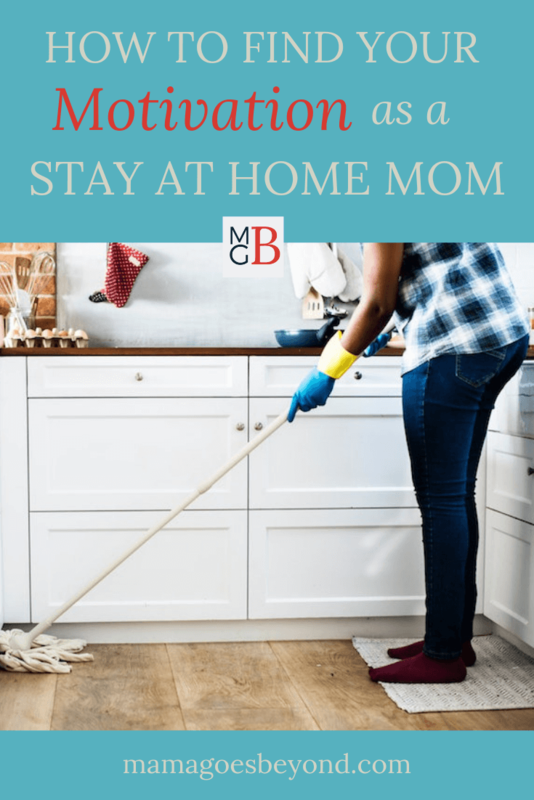 Becoming a stay at home mom was a huge adjustment for me… I love these tips for making the transition a little more smooth! Thanks! I think it’s a tough adjustment for most of us. Thanks for taking the time to comment! You’re most welcome! Thanks for leaving a comment.